Background –Developer engaged in the business of Property invites buyers for purchase / bookings of property at much earlier stage than construction thereof. Accordingly, the intended buyers book the property rights and advance payment for booking is made. Further, payments are made to the developer as and when demanded and also with the progress in the construction. Possession of the property is made available to the intended buyers after 3-4 years of the booking and may be sometime even longer period.In between many times intended buyers transfer their rights to other parties. Similarly, many buyers transfer the property after they have obtained possession from the developer. The issue normally arises in the context of transfer of rights in the property under construction as well as transfer of property after taking the possession thereof as regard the point whether gain on transfer is short term or long term. In other words, question normally arises as regards date of acquisition of rights in the property. In this context it is stated that at the stage booking is made by the intending buyer with the developer many times even the specifications / description of project are not available and confirmation as regards the property rights is given by the developer after a lapse of time. In this regard one view can be that the intended buyer has acquired the rights as soon as he has given the initial advance though specification in regard to project / property are not available. The other view can be that the right would come into existence when the developer confirms the bookings and issue necessary allotment letter to the intended buyers after the project has been properly described. It is stated that the date of acquisition of the rights would depend upon facts of each case and the documents executed / provided by the developer to the intended buyers. In case of initial advance if there is no commitment or allotment by the developer, same may not amount of acquisition of rights in the property. Property rights may generally be acquired by the intended buyer only when an allotment letter specifying the project etc. has been issued. In case the intended buyer transfer his rights in the property during the period when construction is in progress and he has not obtained possession of the property, the right of the buyer would be in the nature of capital assets and accordingly, gain arising on such transfer would be in the nature of long term or short terms gain depending upon the period of holding. In case of transfer of property after possession has been obtained by the buyer from the developer on construction of the project, a question normally arises whether the period prior to taking of possession of the property, during which period it was only the right available to the buyer, is to be reckoned for the purpose of determining whether the capital gain is short term or long term or not. In this regard contention is normally raised that rights in the property is a capital asset of different nature than the property. Therefore, period prior to taking of possession is not to be considered. It is, however, stated that the buyer gets possession of the property in continuation of his holding of right in the property. It cannot be said that in terms of Section 2(47) of the Act assessee has transferred his rights in the property held earlier to acquire the actual property. It is not a case of sale or exchange. Buyer continues to hold the capital asset. Only its form changes on getting actual possession of the property. Therefore, it cannot be said that period of holding would be counted only from the date of getting the possession. Accordingly, the earlier period is also to be counted for the purpose of determination of nature of the capital gain, whether short term or long term. 3. Allotment Letter from Builder dated 21.06.2007. 4. Photocopy of Sale Agreement with Builder dated 31.12.2009 which got registered on 01.02.2010 showing stamp duty Payment of Rs. 2,02,650/- and Registration Charges of Rs. 31,500/-. 6. Reply from Builder in respect of our request for possession dated 25.03.2011 which seems to be possession letter too although explicitly it’s not a possession letter. The Assessee is a individual who has booked a flat with a Builder in Malad (W) on 21.06.2007 and Builder has given the Allotment letter on the same date. Total Agreement Value of the Flat is Rs. 42,16,000/- which Assessee has paid in Ten Installments spread over financial Year 2007-08 and Financial Year 2008-2009. Assessee’s Agreement for Purchase of this Property got registered on 01.02.2011. Assessee Receives possession of the Flat on 25.03.2011. Assessee Sold the Flat on 07th July 2011 for Rs. 1,00,80,000/-. Whether the Right to own the Property is a Capital Asset ? Whether Gain on sale of Flat will be short Term or Long Term? If the Gain is long term how the indexed cost will be calculated? Is there a way Assessee can save tax on Gain on Sale of Flat? 1. Whether the Right to own the Property is a Capital Asset? What is a capital asset is defined in section 2(14) of the I.T. Act, 1961. Under that provision, a capital asset means property of any kind held by an assessee, whether or not connected with his business or profession. The other sub-clauses which deal with what property is not included in the definition of capital asset are not relevant. Under section 2(47), a transfer in relation to a capital asset is defined as including the sale, exchange or relinquishment of the asset or the astonishment of any right therein or the compulsory acquisition thereof under any law. The word “property”, used in section 2(14) of the I.T. Act, is a word of the widest amplitude and the definition has re-emphasised this by use of the words “of any kind” Thus, any right which can be called property will be included in the definition of “capital asset”. A contract for sale of land is capable of specific performance. It is also assignable. (See Hochat Kizhakke Madathil Venkateswara Aiyar v. Kallor Illath Raman Nambudhri, AIR 1917 Mad 358). Therefore, in our view, a right to obtain conveyance of immovable property, was clearly “property” as contemplated by section 2(14) of the I.T. Act, 1961.
i. CIT v. Sterling Investment Corpn. Ltd.  123 ITR 441 (Bom.). ii. ITO v. Smt. Kashmiraben M. Parikh  66 Taxman 31 (Ahd.) (Mag.). iii. Tribunal order in ITA No. 3923 (Mum.) of 2002 for assessment year 1995-96 in the case of Mrs. Manju Agarwal v. Asstt. CIT, Mumbai ‘C’ Bench order dated 16-9-2004.
vi. 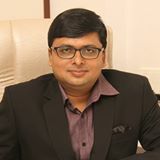 Jitendra Mohan v. ITO  11 SOT 594 (Delhi). In our case as allotment letter issued by the builder dated 21.06.2007 gives us the right to obtain conveyance on the said flat so it become an assets under section 2 (14) of the Income Tax Act, 1961. 2. Whether Gain on sale of Flat will be short Term or Long Term? An asset which is held for 36 (24 wef P.Y 2017-18) months is a long term asset. Whether it is held for 36 (24 wef P.Y 2017-18) months? Once the right to purchase ( i.e obtain conveyance ) proved to be an asset, it is to be seen when was this right vested in the purchase. Hon’ble Andhra Pradesh High Court in the case of M. Syamala Rao v. CIT  234 ITR 140 held that registration of a document related back to the day on which the agreement of sale was executed, hence, when the builder executed the agreement of sale on 7-8-1993, the assessee was to be deemed to be owner of property from that date and, accordingly, the capital gain was to be worked out. In our opinion, the date of allotment is the date when the right of conveyance get vested. So, if there is difference of 36 months in this date and date of sale , then it can be considered that the said asset was a long term asset and gain on sale of such asset was “Long Term Capital Gains “. In our case, the allotment date was 31.06.2007 and as such on the date of sale, this right was held for more than 36 months so gain on sale of Flat will be Long term Only. 3. How Indexation is to be done? The assessee vide unregistered agreement with a developer purchased a flat in 1993 which was constructed in the year 1997 and registered in the year 1998. During the relevant year, the assessee sold said flat and after claiming the indexed cost at Rs. 18.74 lakhs showed long-term capital gain at Rs. 39.42 lakhs. The Assessing Officer worked out indexed cost of acquisition on the basis of purchase price from 1993 and completed the assessment. However, the Commissioner was of the view that the assessee had not filed any evidence with respect to various payment made towards the purchase price and the indexed cost of acquisition worked out on the basis of financial year 1993 was incorrect and, hence, the assessment order was erroneous and prejudicial to the interest of revenue. Accordingly, he initiated revision proceedings under section 263. The Commissioner, however, set aside the order of Assessing Officer and directed the Assessing Officer to compute the correct long-term capital gain by adopting the indexed cost of acquisition on the basis of the date on which the property was held after registration of the conveyance deed. In instant appeal, the assessee contended that she was deemed to be owner for property from 7-8-1993 and, accordingly, the capital gain was to be worked out from that date as per Explanation (iii) to section 48, and since the asset had been held for the first time in 1993, cost inflation index of that year was to be applied on the total purchase consideration payable by the assessee as per agreement regardless of the dates of the actual amount paid by her. So in our case we will take the index of the year in which Assessee receives allotment letter of the Flat i.e. 2007-08. In respect of Stamp Duty, Registration Charges, Society Deposits we will take index of the year of payment. If Assessee has incurred any other expenses in respect of Purchase of property in addition to these in respect of those expense also we take index of the year of expense for calculation of Long Term Capital Gain as what tribunal has stated above is cost of acquisition i.e Rs. 42.16 lakh which should be taken to compute the long term capital gains as the word used in Explanation to section 48 mentions “Cost of acquisition and not the actual payments. Here we would also like to refer Judgment of Delhi ITAT in the case of Praveen Gupta vs ACIT -ITA No. 2558/Del/2010; Asst. Year 2007-08 in which Honourable ITAT has taken indexation on the basis of Payment made by the Assessee but since Assessee is based in Mumbai so for us ITAT Mumbai Judgment is more relevant and at the same time same is more beneficial to us too. 5. Is there a way Assessee can save tax on Gain on Sale of Flat? Yes, The Provisions of Income Tax Allows the assessee to save capital gains tax on sale of a property, namely Flat in our case. This benefit is provided under Sections 54 and Section 54EC of the Income Tax Act, 1961. Condition to be satisfied to claim exemption Section 54 of the Income Tax Act, 1961. 1: Assessee should be Individual/ HUF. 2: The Asset should be Residential Property whether self occupied or not. 3: The Property Should be classified as a Long term Capital Asset under Income tax Act, 1961. 4: The Assessee purchases one residential house in India within a period of one year before or two years after the date of transfer/sale of the asset or he constructs one residential house in India within a period of three years after the date of transfer/sale of the asset. 5: In Case, if the assessee is not able to utilize the amount of capital gains for acquisition of new asset before the due date of furnishing the return of income and thereafter the assessee can deposit the same in and account with any specified bank or institution under capital Gains Accounts Scheme framed by the central government and all payment related to new assets will be made from this account. 6: The Cost of the new purchased asset or constructed aseet should be equal to or exceed the amount of indexed capital gains earned on the sale of the property. Where the amount of Capital gains is greater than the cost of the new asset, the difference between the amount of capital gains and the cost of the new asset will be chargable as “ Long Term Capital Gains” of the previous year in which the asset is sold. 1: The Assessee should not sell the new asset within 3 years from the date of its purchase or construction. If he does that the cost of the new asset will be reduced by the amount of capital gains exempted from tax earlier and the difference between the sale price of the new asset and such reduced cost will be “ Short Term Capital Gains” and treated as the income of the previous year in which the new asset is sold. 1: Capital Gains should arise from the transfer of the long term capital asset. 2: The Assessee should invest the capital gains amount within a period of six months after the date of transfer/sale in the long term specified asset. The investment made by an assessee in the long-term specified asset, from capital gains arising from transfer of one or more original assets, during the financial year in which the original asset or assets are transferred and in the subsequent financial year does not exceed fifty lakh rupees. Capital gain shall be exempt to the extent of amount of investment in such specified bonds upto a maximum of Rs.50 Lacs. 3; The Cost of the Long Term Specified Asset is not less than the capital gain in respect of the original asset. If The cost of the Long Term Specified Asset is less than the capital gains, then only proportionate capital gains will be exempt to the extent it is invested. 1: The Assessee has to retain the Bonds for a minimum period of three years (5 years if such bonds are issued on or after 01.04.2018) from the date of acquisition. 2: The Assessee should not transfer or convert into money or should not take a loan against pledge or security of the Bonds that he has invested in, to avail exemption under section 54EC, during this three years. Of the previous year in which such long term specified asset is transferred or converted into money. Of the Previous year in which the loan or advance is taken against security of such long term specified asset. It should be noted that irrespective of the quantum of loan or advance taken, the entire exempted amount of capital gains will be brought to tax. Where the cost of long term specified asset is also eligible for deduction under section 80C, the said deduction will not be allowed, if he takes the exemption under section 54EC. 1. Whether the Right to own the Property is a Capital Asset – Yes. 3. If the Gain is long term how the indexed cost will be calculated? 4. Is there a way Assessee can save tax on Gain on Sale of Flat? The Provisions of Income Tax Allows the assessee to save capital gains tax on sale of a property, namely flat in our case. This benefit is provided under Sections 54 and Section 54EC of the Income Tax Act, 1961. 2) With effect from A.Y. 2018-19, period of holding to be considered as 24 months in instead of 36 months in case of immovable property being land or building or both. i purchased an underconstruction builder flat in 2012 and availed a loan in 2013. I sold the property in 2016 December at the same rate at which it was purchased and lost interest money and so on, how will that be treated under losses while filing ITR. The property was sold at loss due to rising costs/interest-emi burden and my financial termoils. A Person is engaged in the business of purchase of land and construct the building for residential purpose (Not Flats) and the same will be sold to person interested in buying it. What are the legal formalities which need to be followed? He has not registered under any regulation. 2. Tripartite Redevelopment agreement between flat owner, developer and society, registered in 2009. Developer offers additional area after redevelopment which is included in the said agreement and stamp duty on the additional area also paid at the time of registering the said agreement. 3. Transit accommodation rent during redevelopment period paid by builder. 4. Corpus fund compensation also paid by developer. 5. Possession after redevelopment given in 2015. •	Tax treatment of Corpus compensation. •	Are there any case laws/high court decisions available relating to the above questions? I want to know that I had purchased A house in Nov-1999 and Now I am Selling the Same tomorrow.But In Sept-2013 had bought a Plot and made A house there on and complition certificate there of is not issued by the Competenty person till today . I had done this by getting a House Loan of Rs-22,00,000/- from the Bank and Proper Approval of the Concered Authority.I have a Only One house which is recently Construted .Except that House I have no House . I have to pay the LTCG or Not .I have not fulfil other Condition. 1. I booked a small 2 BHK Apt at Noida in 2009 (Allotment Letter Issued on 8th Oct’ 2009) with Jaypee Infratech for a total cost of Rs 39,91,960.00 + Serv Tax etc. and have so far paid a total of Rs 36,85,253.00 including service tax. Progressively based on construction linked plan. 2. The possession of this property is long overdue (delayed by almost 3 years) and although the building is ready, they have yet to send us possession letter. On the contrary, JP has sent us a letter recently where-in they are saying that the ACTUAL AREA OF THE FLAT HAS INCREASED FROM 1120 Sq. Ft to 1163.64 Sq. Ft and hence the total cost is accordingly increased to Rs. 41,52,229.92 + Service Tax etc. 3. Since I do not need this apartment and it also did not provide good returns, I have found a buyer for it and he will pay me a lump sum cost of Rs 49,39,432/- inclusive of everything against the total payment I have paid to builder so far. Buyer will also pay the balance amount of flat cost (Rs. 3,76, 147.33, as mentioned in that letter) directly to the builder at the time of transfer from me to him or as and when demanded by Jaypee. 4. I will utilize the entire money (Rs. 49,32,432/-) received from this deal to pay for the balance installment of our other under construction Apartment I have booked at Mumbai (in Kalpataru Radiance Project in Goregaon (west) for a total cost of Approx 3.6 Cr) in April’ 2013 and have paid around 2.0 Cr so-far. I also expect to pay most of the deal amount within current financial year (before April’ 2016). 5. Following is date-wise break-down of the total money paid by us to M/s Jaypee in installments for you to can get the exact dates of the payments. My query is – Since I am getting an additional amount of Approx. Rs 12 Lakhs over and above what I paid, What would be our Tax Liability (Capital Gain Tax, if any) after indexing the cost of the apartment? And how we can avoid any tax while filing next year. ii.How the same will be treated in the profit & loss account in relevant transaction year. A) my wife sold her land titled on her name purchased earlier about 15 yrs back and planned to invest in the new appartment. At the time purchase of land amout was out of husban’s salary income and no loan taken at that point of time. B) Similarly my son-in-law sold his appartment titled in joint name purchased about 5 yrs back and planned to invest in the new appartment. At the time purchase of appartment amout was out of husban’s salary income and no loan taken at that point of time. I have bought residential property “A” in 2006-2007 for 25 lacs. I bought another residential property “B” in 2012-2013. Now i want to sell property “A” in 2015-2016 for 180 lacs & buy another property with the capital gains which comes around to 130 lacs after indexation. So can i get exempt from capital gains tax if i buy another residential property against this amount? I am asking because i have property “B” as well. My father purchased a land in the year 1981 for Rs 2.00 Lacs and he died in 2010. After my fathers death the property was mutated in my name via a registered Relinqushment Deed in which my brother my sister and my mother relinquished their shares in my favour. What will be be LTCG and how will the Indexation of cost inflation be calculated ?? will it be calculated from 1981 or 2010. Also there was no consideration amount involved when i acquired the property. I sold a flat of 18 years old, but the agreement was made in february 2015, when the advance money was paid of Rs 4 lakhs. This money was cheque paid and deposited in bank.The registration of transfer completed in May 2015 and the balance amount of 22 lakhs was paid. Should I show 4 lakhs in Assessment year 2015-2016 of incometax? or the whole amount? X an individual has ancestral property (purchased by his father in 1960), want to sell the same to the builder. X along with his 4 other brothers and sister has stake in the land. Now the builder has agreed to give an amount of Rs 50.00 lacs and 5 flats to all the stakeholder. 1 how the capital gain will be taxed in the hands of x and his co owners. 2. What will be the cost price of land as the land belonged to his father who died 5 years before, and the plot was allotted to the father by the local authority without consideration at that time. Thank you so much for the elaborately written article along with citing examples of cases that have key importance to the initial query of the sale of the flat bought in construction linked plan. So is it safe to conclude that the sale of flat in April 2015 will be considered under long term capital gain considering that I have purchased the same in CLIP in the year 2010 and have received the allotment letter from the builder immediately in 2010, even though I received the possession in July 2014. I Booked a Flat under pre-launching scheme in the month of August 2013, afterwards I made an agreement with Builder in the month of June 2014. As per Agreement Builder is suppose to give me possession in the month of March 2016. Now I would like to sell this Flat to new person which is under construction (the builder has completed 64% work of the building). I wanted to know in this case whether new person has to pay again Stamp Duty + VAT +S. Tax to the govt. even I paid such charges initially? How to compute Capital gain tax on sharing a land to a builder against which the land owner allotted with 8 flats. Subsequently, the land owner sells out 3 flats during the p.y. What is the cost of acquisition of each flat in second case ? DR. B.P. SARAF AND A.Y. SAKHARE, JJ. The assessee jointly with his mother held a flat which was taken on lease in 1962-63 on monthly rental basis. They acquired ownership rights over it in January 1976 by paying a lump sum and sold it in May 1976. While computing capital gains, the Assessing Officer treated the same as short-term capital gain since the asset was sold within five months of acquisition. According to the assessee, the sale of the flat comprised of two capital assets, viz., occupancy right and the remaining rights of owner including title, and while the tenancy right was acquired in 1962-63, the ownership right was acquired in 1976. The assessee contended that the sale consideration should be apportioned between the two and the capital gain from the transfer of ownership right only should be treated as short-term capital gains. The Commissioner (Appeals), however, rejected the said contention. The Special Bench of the Tribunal accepted the contention of the assessee and allowed his appeal. The Tribunal held that what was sold or transferred was a composite asset which had admittedly come into existence as a result of fusion and merger of the smaller estate and bigger estate, assuming that the right of occupation as a tenant was smaller estate and the remaining interest of the landlord in the flat including the title constituted a bigger estate. The Tribunal, therefore, held that the cost of composite estate should be computed by taking into account the market value of the smaller estate as on the date of acquisition of the bigger estate and directed the Assessing Officer to recompute the surplus liable to short-term capital gain afresh. The Tribunal, in the instant case, was wrong in holding that even after the purchase of the flat by the lessee, the leasehold right subsisted in the lessee. Because, once the lessee purchases the leased property from the owner, the lease is extinguished as the same person cannot at the same time be both landlord and tenant. The doctrine of merger applies resulting in ‘drowning’ and ‘sinking’ of inferior right into superior right. There is a complete union of the interest of the lessor in the lessee in such a case and the tenancy comes to an end. This principle has been statutorily recognised in section 111(d) of the Transfer of Property Act, 1882, which specifically provides for determination of lease in case the interests of the lessee and the lessor in the whole of the property become vested at the same time in one person in the same right. From the above, it was clear that the asset transferred in the instant case was the flat acquired by the assessee by purchase from the owners with all the rights and interest therein including the occupancy right. The assessee was owner of the flat and not a tenant. The fact that the assessee was in occupation of the flat as a tenant before its purchase was wholly irrelevant because on purchase, there was a union of the interests of the lessor and the lessee and the tenancy was extinguished. The said flat having been sold within 4 to 5 months of its purchase, the capital gain arising therefrom was rightly held by the Assessing Officer to be a short-term capital gain. Therefore, the Tribunal was not justified in reversing the said finding of the Assessing Officer. R.V. Desai and J.P. Deodhar for the Applicant. 2. This reference pertains to the assessment year 1977-78. The assessee jointly with his mother held a flat in Shanti Kutir, Bombay, admeasuring about 1,800 sq. ft. The said flat was originally taken on lease in the year 1962-63 by the father of the assessee for residential purposes on a monthly rent of Rs. 175. Since then it was in occupation of the assessee’s father as a tenant and after his death on 26-3-1974, in the occupation of the assessee and his mother. In May 1974, the existing tenants of the building Shanti Kutir formed a society and entered into an agreement with the landlord for the purchase of the building. The ownership of the building was transferred to the society in January 1976. The assessee and his mother, like all other tenants, jointly paid Rs. 46,287 towards the purchase price of the flat in their occupation and thereby became the owner thereof. After about four months of the purchase of the said flat, in May 1976, the assessee and his mother sold the said flat to Mr. & Mrs. V.V. Dalal for Rs. 1,80,000 and handed over vacant possession thereof to the said purchasers. In the assessment of the assessee under the Act for the assessment year 1977-78, the ITO computed capital gains from the sale of the said flat at Rs. 1,31,213 by deducting Rs. 46,287, being the purchase price and Rs. 2,500 being legal expenses incurred in connection therewith from the sale consideration of Rs. 1,80,000 and assessed the same as short-term capital gain from the sale of the flat because the flat had been sold within 4 to 5 months of the purchase. The assessee was aggrieved by the above order of the ITO. According to the assessee, the sale of the flat by the assessee comprised of two capital assets, viz., occupancy right and the remaining rights of owner including title. It was contended by the assessee that the tenancy right was acquired by the father of the assessee in year 1962-63 and the ownership right was acquired by the assessee and his mother in January 1976. The assessee, therefore, claimed that the consi-deration for the sale of the flat should be apportioned as consideration for transfer of occupancy right and for transfer of ownership right and the capital gains from the transfer of ownership right so arrived at should only be treated as short-term capital gains. The assessee appealed to the Commissioner (Appeals). The Commissioner (Appeals) did not agree with the contentions of the assessee and dismissed the appeal. While doing so, the Commissioner (Appeals) held that the fact that the assessee was in occupation of the flat in question as a tenant before it was purchased, was irrelevant for the purpose of determining his liability to capital gains on sale of the flat because what was sold was the flat which the assessee had acquired in January 1976 and not the tenancy rights. Being aggrieved by the order of the Commissioner (Appeals), the assessee appealed to the Tribunal. As there were conflicting views of the different Benches of the Tribunal on this issue, a Special Bench of the Tribunal was constituted for hearing this issue. The Special Bench accepted the contention of the assessee and allowed his appeal. The Special Bench of the Tribunal held that what was sold or transferred in this case was a composite asset which had admittedly come into existence as a result of fusion and merger of the smaller estate and bigger estate, assuming that the right of occupation as a tenant was smaller estate and the remaining interest of the landlord in the flat including the title constituted a bigger estate. It was observed that the two components of the composite estate were acquired by the assessee separately in two different years. The Tribunal felt that the sale consideration of the composite estate was not capable of apportionment in law. The Tribunal was of the opinion that the solution in such a situation was to take either a smaller or bigger estate as the main estate. The Tribunal observed that if the smaller estate, i.e., the right of occupation as a tenant was taken as the main estate, the cost of the bigger estate will have to be treated as an improvement over the smaller estate but in that case, the period will have to be reckoned from the date of the acquisition of the smaller estate for the purpose of considering whether the surplus would be liable to long-term or short-term capital gain. On the other hand, if the bigger estate, i.e., the remaining interest of the landlord over the flat including the title, was taken as the main estate, the market value of the smaller estate as on the date of the acquisition of the bigger estate would have to be taken into account and the material date for the purpose of considering the surplus as long-term or short-term capital gain, in such a case, would be the date of acquisition of the bigger estate. The Tribunal, therefore, held that the cost of composite estate should be computed by taking into account the market value of the smaller estate as on the date of acquisition of the bigger estate. As the ITO had not considered this issue from this point of view, the Tribunal set aside the order of the ITO and directed him to recompute the surplus liable to short-term capital gain afresh after allowing the assessee an opportunity of being heard. Aggrieved by the above order of the Tribunal, the revenue is before us by way of this reference. 3. Mr. R.V. Desai, the learned counsel for the revenue, submits that the approach of the Tribunal in this case itself is erroneous. According to the learned counsel, what has been transferred in this case in May 1976 is the flat which was acquired by the assessee in January 1976. The flat cannot be regarded as a composite asset comprising of tenancy right and ownership right. The learned counsel submits that the tenancy came to an end the moment the assessee purchased the flat and became the owner. What has been transferred by the assessee is the ownership of the flat. That being so, according to the learned counsel, the ITO was right in assessing the capital gain as short-term capital gain because the flat was sold within 4 to 5 months of its purchase. The learned counsel submits that the Tribunal was wrong in holding that the flat was a composite asset comprising of ‘tenancy right’ and ‘ownership right’. 4. We have carefully considered the submissions of Mr. Desai, the learned counsel for the revenue. We find force in the same. The Tribunal, in our view, was wrong in holding that even after the purchase of the flat by the lessee, the leasehold right subsisted in the lessee. Because, once the lessee purchases the leased property from the owner, the lease is extinguished as the same person cannot at the same time be both landlord and tenant. The doctrine of merger applies resulting in ‘drowning’ and ‘sinking’ of inferior right into superior right. There is a complete union of the interest of the lessor in the lessee in such a case and the tenancy comes to an end. This principle has been statutorily recognised in section 111(d) of the Transfer of Property Act, 1882, which specifically provides for determi- nation of lease in case the interests of the lessee and the lessor in the whole of the property become vested at the same time in one person in the same right. 5. From the above discussion, it is clear that the asset transferred, in the instant case, was the flat acquired by the assessee by purchase from the owners with all the rights and interest therein including the occupancy right. The assessee was owner of the flat and not a tenant. The fact that the assessee was in occupation of the flat as a tenant before its purchase is wholly irrelevant because on purchase there was a union of the interests of the lessor and the lessee and the tenancy was existinguished. The said flat having been sold within 4 to 5 months of its purchase, the capital gain arising there from was rightly held by the ITO to be a short-term capital gain. The Tribunal was not justified in reversing the said finding of the ITO. 6. In view of the above, we answer the question referred to us in the negative, i.e., in favour of the revenue and against the assessee. 7. This reference is disposed of, accordingly, with no order as to costs. I have a query and hope you will help me. I have bought a property(Apartment) in year 2009 here is the detail. Please let me know this is long term or short term investment. PLS CLARIFY THIS THAT IF HOUSE SOLD IN JAN 2011 AND REINVESTED THE ENTIRE AMOUNT COMING OUT SALE WITHIN SIX MONTHS i.e. MAY 2012 INTO A UNDER CONSTRUCTION FLAT WITH THE PURPOSE OF SAVING LTCG TAX. UNFORTUNATELY POSSESSION OF THE HOUSE IS DELAYED BY ANOTHER ONE YEAR FROM BUILDER’S END. Q 1. HOW SHOULD WE CALCULATE THE START AND END DATE OF THREE YEAR PERIOD FOR POSSESSION OF THE FLAT TO SAVE LTCG TAX. SHOULD THIS BE FROM 31ST JULY 2012 TO 31ST JULY 2015 ? Q 2.WHAT SHOULD WE DO TO AVOID LTCG TAX? I had purchased land. Date of agreement to sale is 31 july 1998 for Rs. 30000. This was paid in instalments of Rs 500 per month till 2004 and after completion of all instalment registration was done in 2004.How indexation should be done. We (Myself, Wife & Brother) intend to purchase plot and construct house over it within 6 months of selling 2 Property (1 hold jointly by myself and wife: Under Construction but allotment letter dated July 2010) & (2 property of my mother). The amount collected from selling will be equal/higher to cost of new house (purchase of plot, repayment of principal of loan & construction). Will we be liable to pay long term / short term capital gain tax, as reinvesting into property within 6 months for stay purpose (will hold more than 3 years)? 1. Under construction property so 20% short term capital gain tax. And investing in jointly with brother so no exemption. 2. Mother Property – 10% long term capital gain tax as hold for more than 3 years but jointly purchasing / even giving it to son for purchase of property. 3. Should I include her name in the property ? I have purchased an under construction property (flat) in January 2010, I still to date have not registered this property as project is still under construction. Now since I have hold the property for more than three year in under construction stage, if I sell this property (flat) would the capital gain be considered as long term so as to avail tax benefit? Or I have to register this property and again has to hold for more than 36 months to have such benefits. Thank you for your reply but most of the CAs are of the opinion that after taking the possession of an under construction flat, date of acquisition is the date of possession, not the date of allotment. In fact, many CAs advise to sell before taking possession to decrease tax liability, if the person wants to sell in near future. Can you defend a case where an under construction property is sold after taking possession. 36 months have passed after the date of allotment but only 3 months have passed after taking possession. I like this article because it is favourable to us but there are conflicting views on this issue, even among CAs, particularly on the date of accusion of a property which was sold after possession. Writes view seems to be correct but more important is that if the IT department and court also agrees with his views. Has the writer defended any case successfully regarding date of accusion of a flat which was sold after taking possession. I want answer from the writer of thearticle. Will he please oblise? I have not defended any such case. The view are based on judgment of court. The views includes judgments from High court. As per my knowledge Till date no HC has given adverse opinion on the same. DEVI PRASAD SINGH AND DR. SATISH CHANDRA, JJ. capital asset is acquired on completion of final payment and that’s why they have taken indexed cost of each installment. After selling the property and buying a new one to avail the benefit of exemption u/s.54, Can the assessee settle the new property to his son within 3 years without being affected by tax implications? What is the amount to be taken as cost by his son? Original cost of new asset or zero? You cannot transfer the property to anyone within three years iy you want to avail exemption. But Gifting of property to son is not regarded as Transfer as per section 47. Since the Gift tax Act is not alive, whether the term “Settlement” would be covered under “Gift” or 3 years lapsing is the only option? It is covered u/s 2(47) definition of transfer of capital assets.As per section 54 if you will transfer the property within 3 years then you cannot avail the exemption. thanks for the thought provoking article.mai i pose a question. what about the postion on prpoerty transfered through assignment deed? Please post your queries to the mail id: cachiragbaid@gmail.com. You will get your replies within 24 hours. A detailed article on gain on sale of under construction house by Mr. Sandeep Kanoi is very good and informative. I have booked a flat in mar 2011. Builder has agreed to give me the possession in mar 2013. however still the work is in progress. Meanwhile since i need money to solve problms in my family business, I want to sell the right in the flat. Still I have to payment near about 5 lakhs to builder. Whether I can sell the property ? total agree ment cost is 20,50,000.00. I have paid 16,79,000 to builder. selling the right in the property will be treated as capital gain ? I think it is. Then how to get exemption from the long term/ short term capital gain tax ? What is the percentage of tax ? and how it is calculated ? 4. I received the letter from builder for balance 5% in June 2011 and the same was paid. 1. Which date would be considered for calculation of Capital Gain? 2. Allotment date in 2009 or Date on which we paid and balance 5% in 2011? 1. Supoose in the above mentioned case we get benefit of Section 54 and as per opinion and law we need to invest further as mentioned under Law- My Question is: CAN WE INVEST IN PROPERTY FOR WHICH ALLOTTMENT LETTER IS GIVEN IMMEDIATELY BUT POSSESSION WILL BE GIVEN IN NEXT 3 YEARS AND IN THIS CASE AMT TO BUILDER WILL BE PAID AS PER CONSTRUCTION LINKED PLAN. I checked the same with 3 different CAs but everyone responded to me in negative that a residential booking will not be termed as a capital asset and will be taxed as per the highest slab in the year of sale irrespective of the number of years it was held. Hi, I purchased an under-construction flat in Oct-2010 and registration was done in Dec-2010. I will be getting the possession of the flat in 2-3 months. I want to sell this flat and buy another one. Just wanted to check whether can I delay the possession until Nov/Dec 13 and claim long-term gain capital gain on property and invest it another flat or whether it would be classified as short-term and I need to pay the taxes. In the above post its written, the amount need to be invested BEFORE DUE DATE OF FILING OF RETURN.PLS CLARIFY THIS THAT IF HOUSE SOLD IN FIN YEAR 2012-2013 MEANS THAT THE DUE DATE FOR THIS IS IN AY2013-2014 OR IN JULY/SEPT 2012 ITSELF. SECONDLY HOW TO SHOW THE COST OF CONSTRUCTION OF BUILIDING FOR CLAIMING THE DEDUCTION UNDER SECTION 54 OF INCOME TAX ACT.